Last spring, I agreed to be the CLMOOC Tech Liason for our site, knowing that it would force me to “up” my tech game. And, it did. I came into this experience as a tentative tech teacher and user in the writing classroom. Sure, I jumped on Twitter every night after dinner, but what did that have to do with teaching? Bolstered and motivated by the energy of the eager tech folks around me, I experimented and played around and figured out a way to make swimming in the sea of tech tools not so scary anymore. So, I am eager to share with you our transformation in the wake of CLMOOC. I have posted samples of work completed last summer during the SI: our maker projects (digital intros, toy hacks, hack jams) and plenty of teacher-made vids (using Voicethread, Sparkol, YouTube). I have also included here a few essential handouts that helped frame our practice in terms of digitial citizenship and hacking/systems thinking. 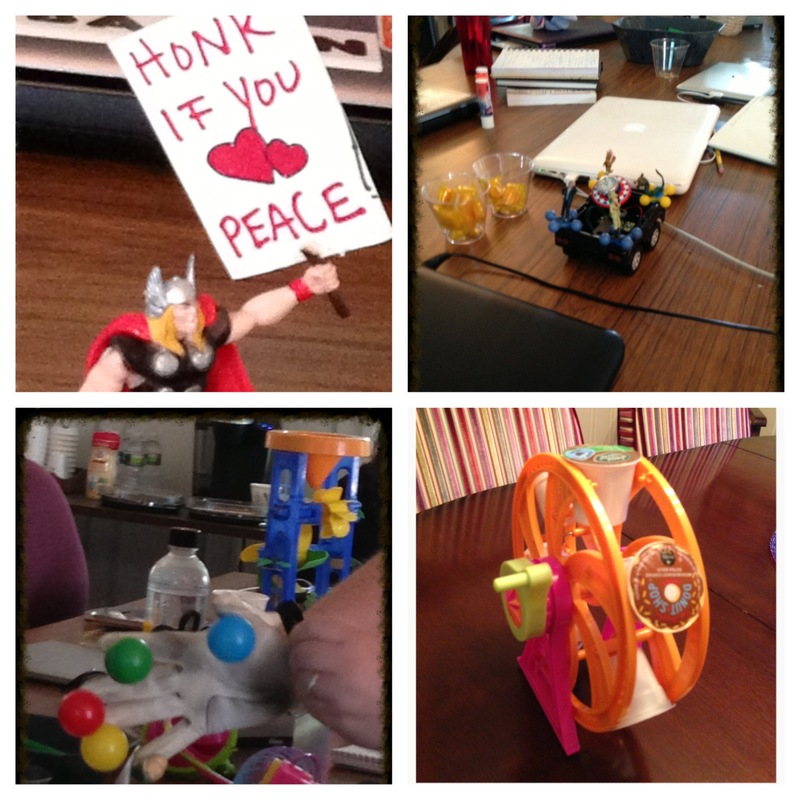 Finally, I have included, in my conclusion, some description and analysis of the impact that CLMOOC and the “magic triumverate” of hacking, connected learning, and making has had on our site in Rhode Island.